Loesche GmbH has received an order from Tanga Cement Company Limited in Tanzania, Africa for the supply of two vertical roller mills. The order covers the full engineering and supply of two Loesche vertical roller mills. One LM 41.4 which will grind cement raw material at a product rate of 200 t/h with a fineness of 15% R 90 μm and one LM 19.2 D coal mill with a grinding capacity of 20 t/h with a fineness of 12% R 90 μm. Included in the scope of supply is a rotary star feeder for the raw meal mill and a coal screw feeder for the coal mill. The delivery of the mill key parts is planned for July 2014. This is the first order from Tanga Cement for LOESCHE GmbH. 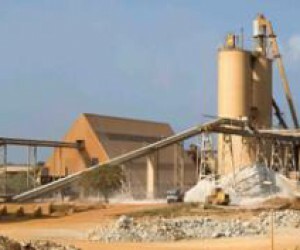 Tanga Cement Company Limited is a producer and supplier of cement used in the construction and making of concrete products. The construction of the plant commenced in 1978 with commissioning taking place in July 1980. Today their daily capacity of cement production is 3000 tons. With 15000 Tanzanian being the shareholders, Tanga Cement Company Limited shares trade under its brand name, Simba, at the Dar es Salaam Stock Exchange.